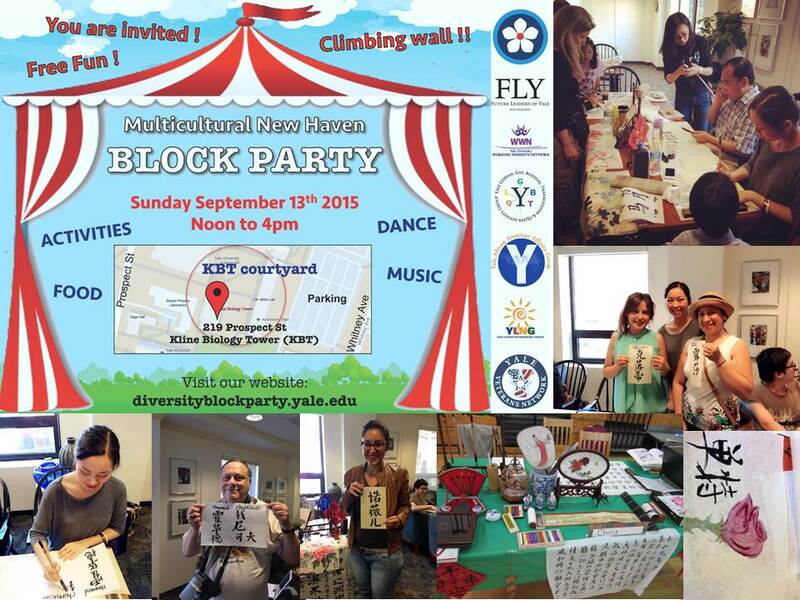 The 2015 Multicultural New Haven Block Party is a community event promoting and embracing New Haven’s diversity. 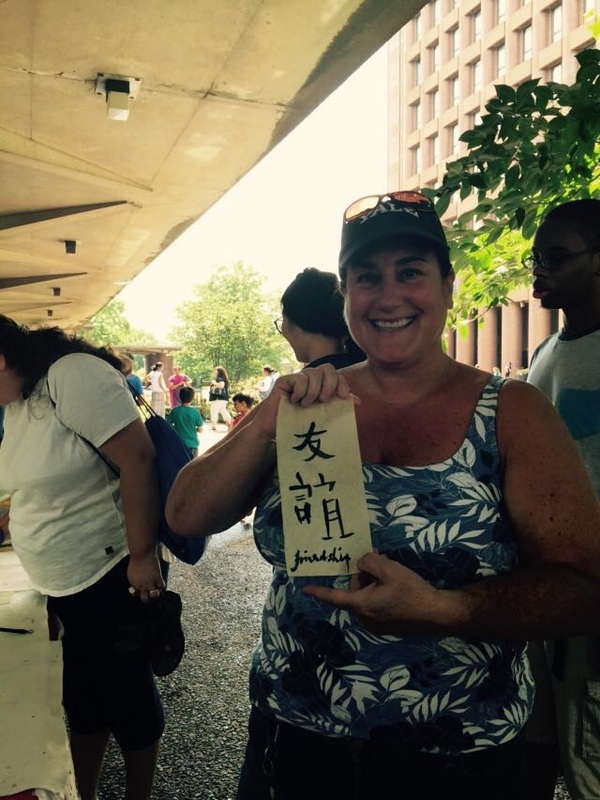 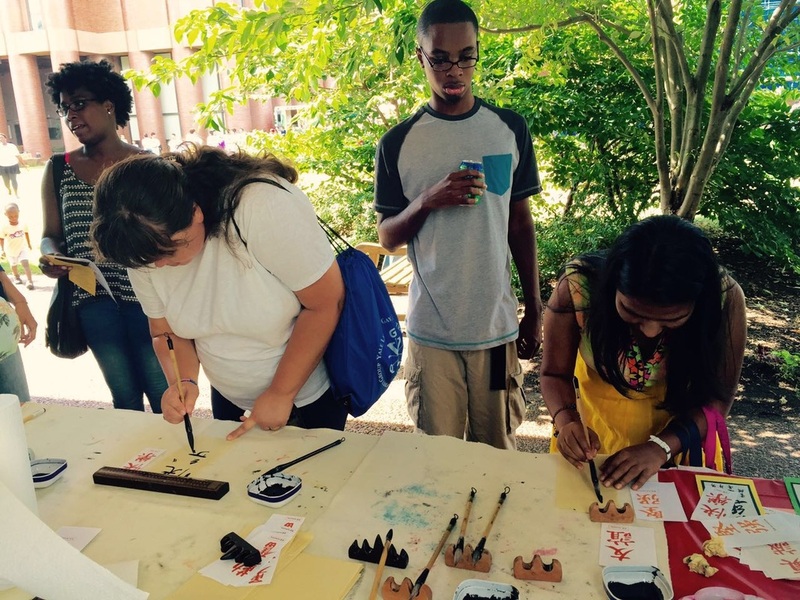 Geared especially towards residents, business owners and newly arrived students and scholars, the block party typically draws several hundred attendees to enjoy performances, food, activities, and fellowship. 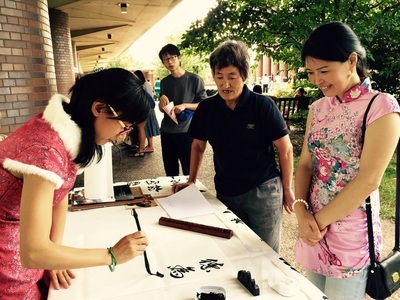 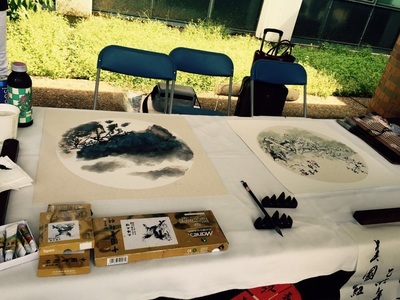 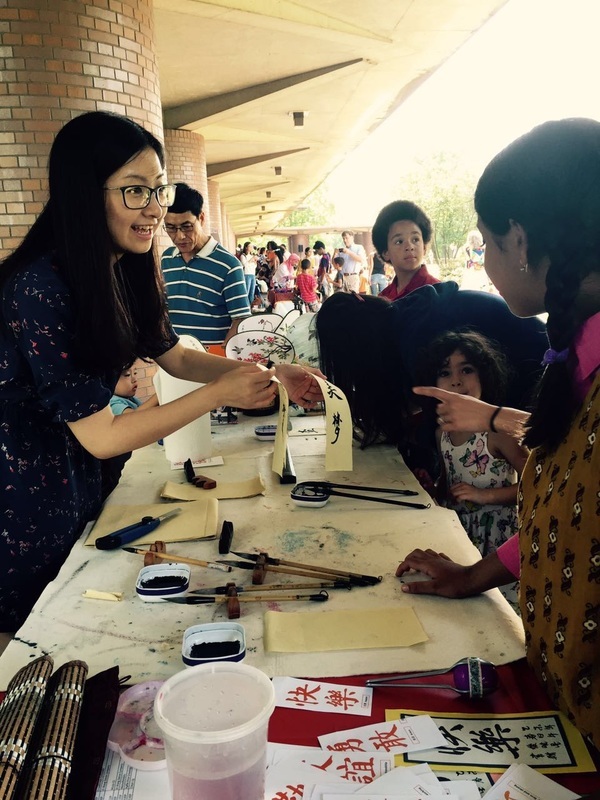 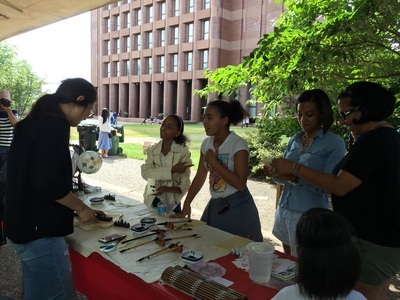 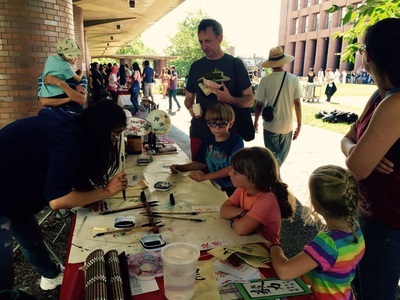 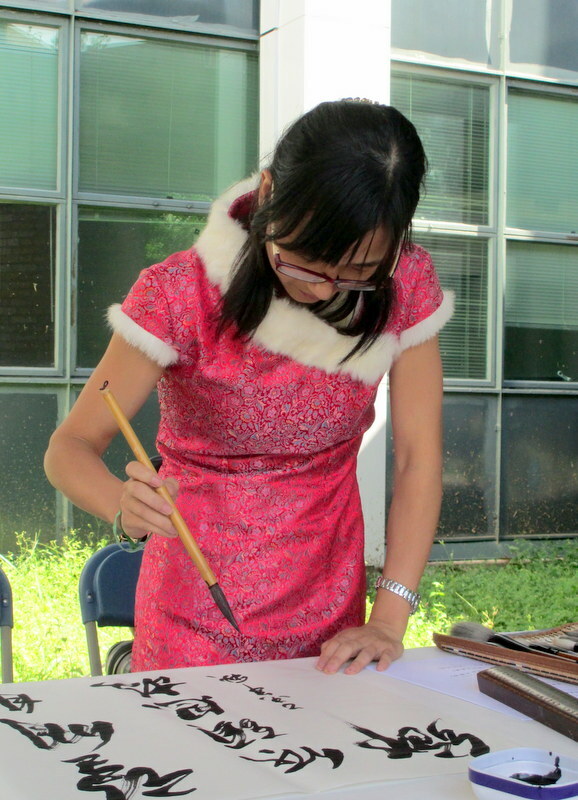 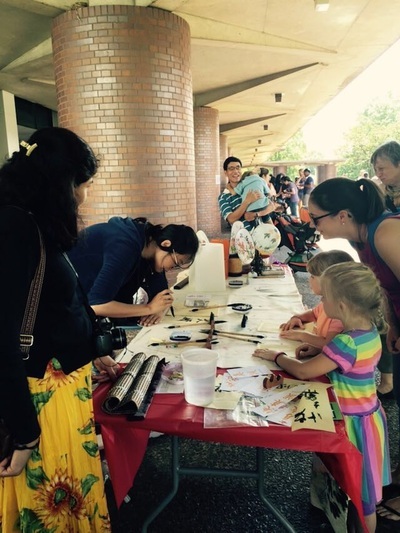 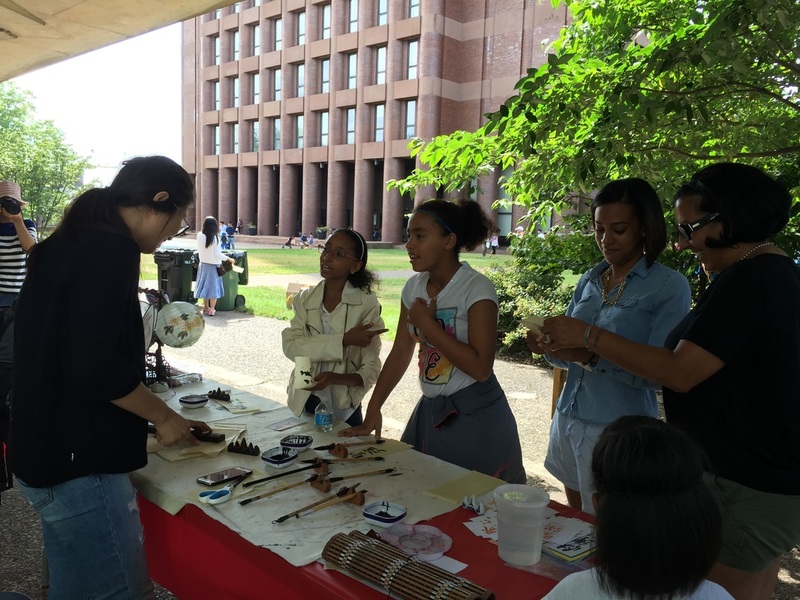 For Chinese Culture demonstration table, our group honorary member Dawei Sun and Group leader Xiaoxing Cao give painting and calligraphy demonstration there during the event. 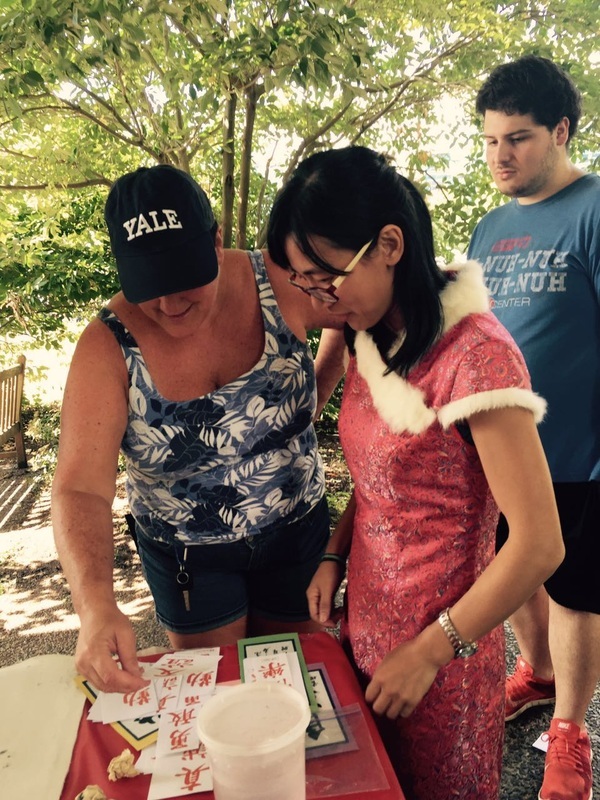 Thanks Micheal, Shraddha, Yujie Han and Lirong Wang for photography, Antje, Irina, Lindan Hu, Xiaohui Gao and all the members for table setting, answer questions and clean up. 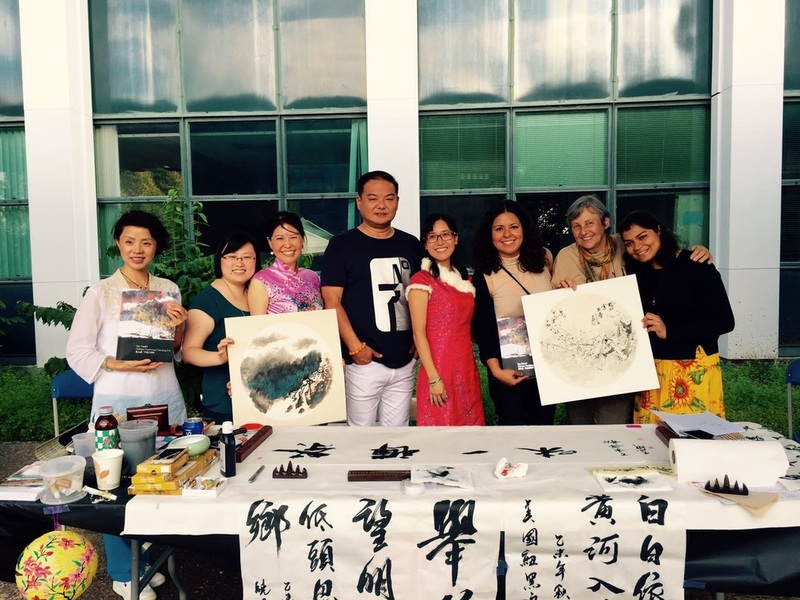 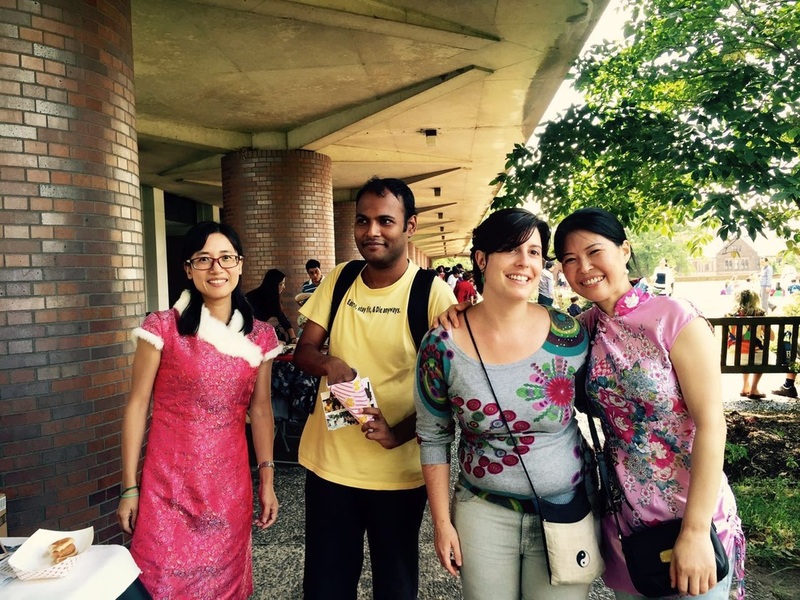 People love our works and all of us enjoy this special events.